Anirban discusses findings on children having better jobs than their parents, employment declines in West Virginia, Generation Z's attitudes on money, ultra-rich cities, and what a Starbucks means for a zip code. Anirban gives the latest news on job dissatisfaction, landscaper shortages, Americans' growing debt, happiness in Nordic nations and Silicon Valley's shifting population. The expansion of the U.S. economy, cities in fiscal distress, spouses living apart, families struggling to meet basic needs, income inequality among Asian Americans. Anirban gives us the latest news on consumer sentiment, wedding economics, consumer spending, unemployment among younger Americans and climate change in economic forecasting. Anirban comments on the budget deficit, the pluses and minuses of rapid economic growth, housing affordability and rising consumer prices. Anirban comments on the shrinking number of young construction workers, the housing market, wage increases, America's pension crisis, and seniors and bankruptcy. Anirban comments on the foreign purchase of American homes, the slowing down of the U.S. housing market, state finances, entry-level jobs requirements and discrimination in office housework. Anirban on the lack of well-trained workers, Google's fine from the European Commission, price markups, and defining the "one percent" in different states. Anirban tells us about the conflict over H2B Visas, changing unemployment rates, inflationary pressures, national debt and wage differences in married couples. Anirban on Millenials' decision to hold off on parenthood, the fluctuating 'middle class,' sizing up the U.S. economy, tax cuts and economic growth, and Geneva's expensive food scene. Anirban gives us the latest findings on the gig economy, worker productivity, unemployment rates around the country, the low male laborforce participation rate, and how Americans spend their time. Anirban discusses new research on deaths exceeding births among white Americans, the national old age dependency ratio, the decline in applications for disability and offers a brief analysis of immigration in America. Because of a technical error, the 7/5 episode is not included in the podcast. Anirban on a report that determines well-being, the end of the International Entrepreneur Rule and the impact of tariffs. Residents being priced out of the metropolitan housing market, America's pension crisis and rising compensation costs. Wage growth, student debt, employment in steel cities, levels of wealth based on age and looking at where people are moving for work. Changes in population, marriage age, home prices, age of homebuyers, and personal wealth. American life expectancy, unemployment rates, defining wealth, economic expansion and fertility rates. 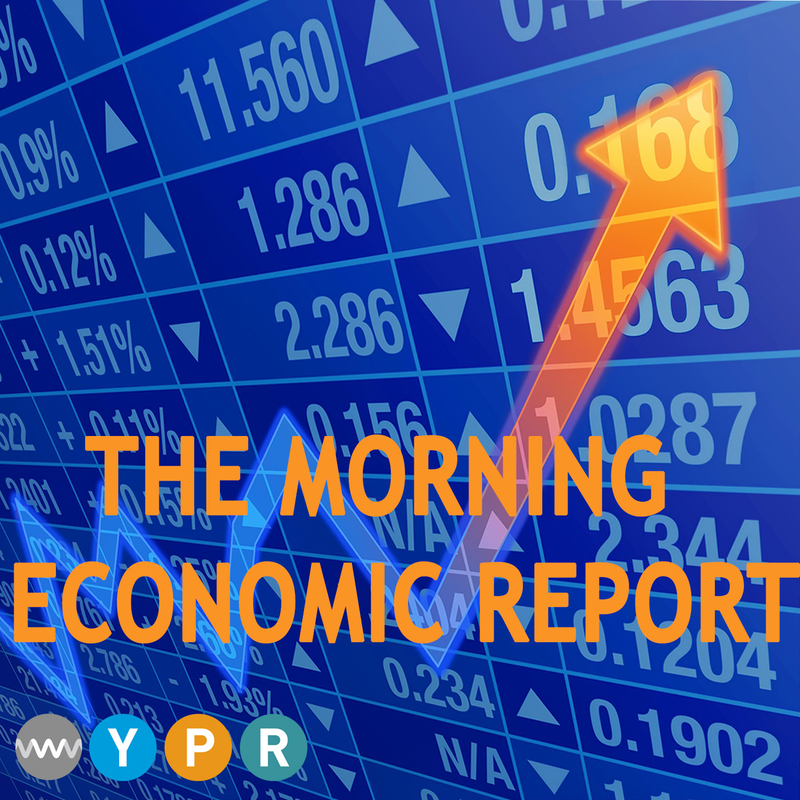 This week: Improvements in the national economy, eyeglasses, retirement across the world, when retirees can expect to live comfortably, and the rise in female homebuyers. This week: Financial inclusion, global health care, the World Cup economy, public employees, and the changing American car business. This week: Manufacturing job loss, steel tariffs, the pension crisis, wealth and life expectancy, and investments in children's education. This week: Retail space, supporting working women, car buying, tax reform and wages. This week: comparison shopping, corporate tax cuts, tax reform, the migration of residents due to income dynamics, and the recent employment report. This week: Americans' net worth of income, immigration policy, the uninsured, work-life balance in Asian countries, and IRS audits. First time homebuyers, executive compensation, job openings, globalization and the possibility of recession. Automation, American tourism, credit card debt, bricklayer job security, and working mothers. Oil prices, disparities in hourly wages, the rate of unemployment, and the growth rate of pregnancies. The outdoor recreation economy, African-Americans in the economy, consumer debt and productivity growth.